Home networks have come a long way in the last few years. There’s an incredible amount of possibility out there that people haven’t discovered, yet would completely change the way they interact alongside their personal media collection. With new storage options, personal cloud servers, and mobile devices available to the average consumer it’s never been easier to get all geared up and start taking control of your network. This is going to be a 2 part segment, highlighting new trends in networking that you should learn about and implement in your home. The first part will cover your media collection and how to access it anywhere, then part 2 will go over home automation and why it’s making a difference in everyday lives. Be a Media Sharing Guru. Everyone has a media collection. Whether it be movies, music, or photos – collections are growing faster these days than ever before. Accessing this content via an external hard drive attached over USB is becoming an archaic and outdated connection method. Even basic wireless routers provide a USB port for external options, for either a printer or storage device. By connecting an external drive to this USB port you’re now enabling this storage to be shared over the entire network. All the devices present on the network have the ability to access the stored content – wirelessly. Apple has made this process relatively straight forward with the Time Capsule; it’s a router and network drive in one device. This allows a seamless process when connecting to the router and then accessing shared content. Manufacturers such as Western Digital, Seagate, and Lacie have been getting more involved in the cloud space by releasing network hard drives. These are external drives that connect via Ethernet directly to a router. Going this route allows the drive to be operated separately from a computer, letting that device to be turned off freely without interrupting a user from accessing the content remotely. I first got into the network storage league with the Western Digital Mybook Live Duo. It was a dual drive 6TB (2x 3TB) server that connected directly to my router. Being new with this endeavour I didn’t realize I had to upgrade other aspects of my set up to accommodate this new purchase. When I initially installed the drive I had about 2.5TB of content to transfer, and required Gigabit Ethernet. My PC only had a standard Ethernet port, so the transfer rates were incredibly slow. Once I upgraded to a Gigabit Ethernet network card (about $25 at any electronics retailer) – I saw a large improvement. Now that you have a place to store all this great content, how do you access it wherever you want? Well, that depends on what you want to do with it. To manage the media on a desktop PC you’ll be able to view the drive through an explorer tab (or Finder window on Mac). From there you can pull files off the drive, or add new ones. Even if this is as far as you go, it presents a great opportunity to have all of your computers in the home connected and able to share files without needing USB drives. One other advantage is there are no size limits with network file sharing. The mobile space is where things get interesting. With any iOS or Android device, you’re given a few options on how you’d like to view your content outside a local network. This term is referred to as remote streaming. As my collection had grown past the 6TB capacity of my previous server, I’ve now upgraded my network drive to the Western Digital EX4. 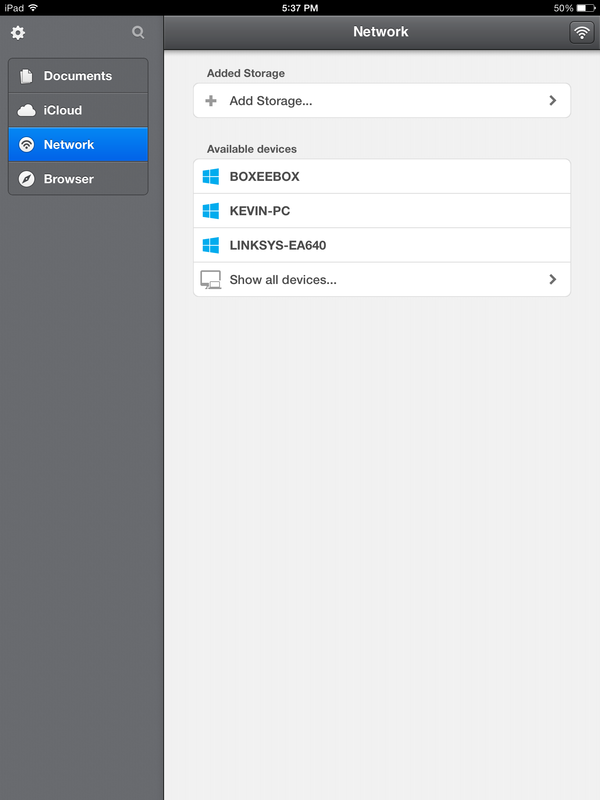 With this server I’m able to store all my content and stream it to my iOS devices anywhere around the world. When I first started remote streaming, I used a program called Air Video Server. It had a nice design and worked really well. The main feature I used it for was real time encoding. Since most of my files are non-iTunes formats, most of the programs weren’t able to play them. Air Video Server has an encoder built-in that coverts any file as you stream it, allowing it to be played on the device. Unfortunately I wasn’t able to figure out how to set up the remote streaming feature for most of the time I had used it, and was limited to playback solely on my local network. Once I figured it out I used it everywhere I could get wifi and it worked great. Around the beginning of September this past year I discovered a new program called Plex. It was on sale for iOS at $1.99 from $4.99 and I decided to give it a try. This was definitely one of the best decisions I’ve made. I installed the server software on my computer and set up all my drives and folders. The program worked instantly with very little configuration (I had to open a couple ports), but it has a web dashboard that assists you in the set up process and let’s you know if it’s functioning correctly. All of my content is organized in a very detailed way with everything listed and tagged properly, even if the file names aren’t. The iOS apps are very well designed and user friendly, keeping bookmarks of content you viewed and listing new additions. 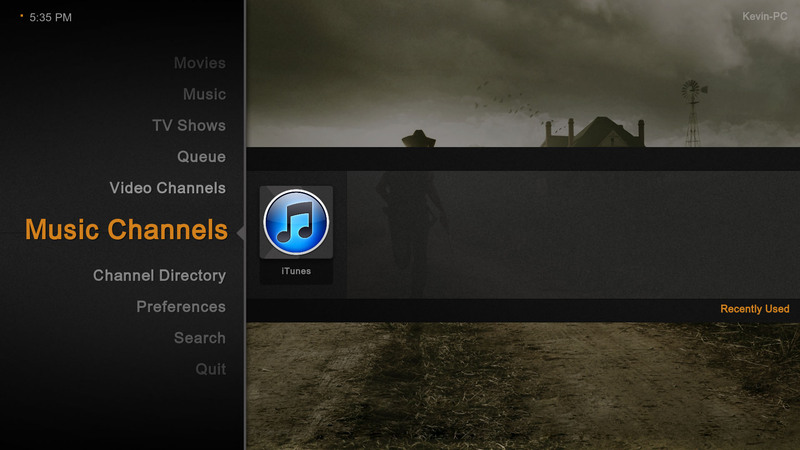 Plex is an incredible piece of software and I highly recommend it to anyone getting into remote streaming. Even if you don’t have a massive media collection that you’re looking to take wherever you go, network sharing can still be proven valuable. Apps such as Documents by Readdle allow document viewing and sharing over a local network, as well as cloud sharing using any number of services such as Dropbox or Google Drive. I manage all my bills in PDF form using this app. Some of them are downloaded through my iOS device, and others are downloaded through my PC. To synchronize and manage all this content efficiently, I use network file sharing to transfer the documents between my iOS device and PC seamlessly through the application. I know of students who use network sharing to manage school projects between devices, allowing them to be more productive and focus on the project – rather than spending time emailing a file or uploading it to a site then downloading it onto another device. This works just as great for photos as well using apps such as Photo Transfer. I’ve been using this app for a long time – even before Apple’s Photo Stream was released. It allows you to connect to any computer over a local network and transfer photos and videos directly to the computer. It auto-detects devices on the network when the app is open and allows you to view or save the photos directly from the web interface. 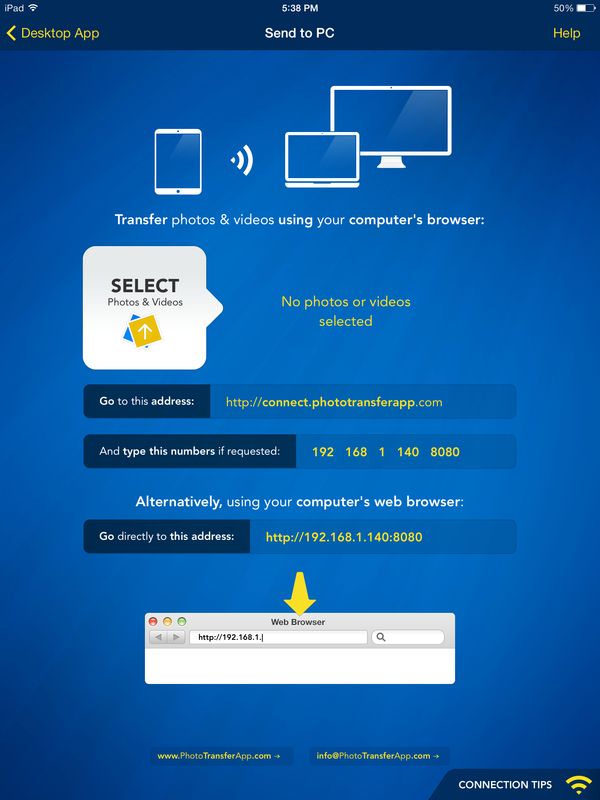 This is a great solution for those who are visiting friends or family and don’t have the option to sign into a Photo Stream account but would like to copy pictures to a computer quickly without any hassle. These home networking trends are only the beginning to making the most of your media and data collections. It truly becomes a part of everyday life once you’ve integrated these systems into your lifestyle – and makes it hard to think how anything ever got done before it. Take a look at Part 2 – discovering the new possibilities of home automation.